Published on 10 January 2014. 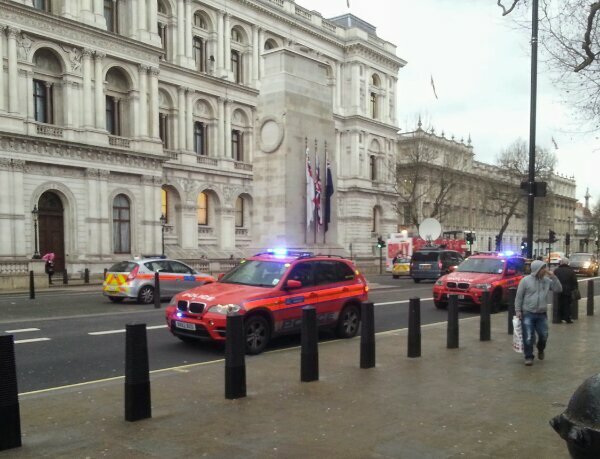 One of the particular frustrations of working on Whitehall is that, every so often, I’m evacuated from my office while the police investigate a suspect package. Still, better safe than sorry, and I’d far rather be one of the people leaving the building (or sheltering in a safe zone) than one of those heading in the opposite direction to investigate! This 2,111th post was filed under: Photo-a-day 2014, Scrapbook.